Do you have a bearded guy in your life that's hard to buy for? Look no further! 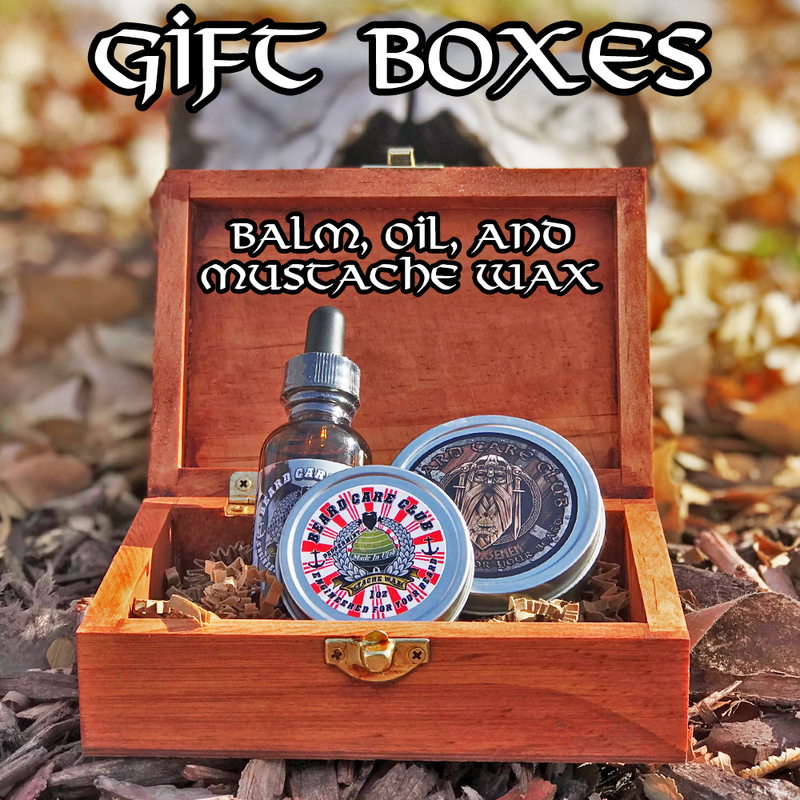 This gift box includes a 2oz beard balm, 1oz beard oil, and 1oz mustache wax all packaged in a cherry stained wood box. You can choose to ship any of the scents that we offer. When checking out, you can also include a personalized note that will be shipped in this gift box.